While details on the public side of their website are rather sparse, you can get a bit more info once you’ve logged in. In short, PRIME is a premium offering that seeks to take the hassle out of investing with Lending Club. To use it, you essentially set a target allocation across all credit grades (A-G; summing to 100%) and then let their “Investor Services” team take over from there. You also have a choice as to whether you want 36 month, 60 month, or both types of loans. If you currently have a Lending Club account, you can upgrade to PRIME, at which point they’ll take over the investing decisions for you. There’s a $25k minimum balance requirement. 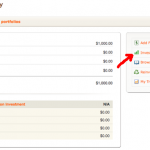 There’s a 0.8% front-end fee that applies to cash in the account at the time of upgrade. The same 0.8% fee applies to any new cash added to the account (but not for amounts reinvested). Beyond the above, your account is subject to the same fees as a regular Lending Club account. You can only participate if you’re in an eligible state (list below). For a new account with a $25k initial deposit, that 0.8% fee adds up to one-time fee of $200. But if you already have a portfolio with them, I don’t think this fee applies to amounts already invested. Rather, it just applies to your residual cash — or at least that’s how I read it. So, if you’re thinking about investing through Lending Club, are interested in putting in at least $25k, and are okay with a “hands off” approach, then this seems like a reasonable option. Consider how long it would take to deploy $25k if you wanted to keep your notes small (the minimum is $25/note). In that case, $200 doesn’t sound so bad, does it? According to their website, individuals in the following states are eligible for direct investing via Lending Club: CA, CO, CT, DE, FL, GA, HI, ID, IL, KY, LA, ME, MN, MO, MS, MT, NH, NV, NY, RI, SC, SD, UT, VA, WA, WI, WV, or WY. without softwasre problem again embarked on hardware maintenance. Sounds like a pretty bad deal, still. Do they still retain the tax benefits for charged off notes, too? Long…..Why would you think that “most investors” aren’t deploying $25k or more at Lending Club? There are many many investors deploying way over $25k in self managed accounts………..& “Prime” accounts have an average balance in the 6 figures. I don’t think most investors are deploying 25k at Lending Club. That said, I wish there was an auto re-invest option when payments are made to the account. Still, if I did have 25k to invest in the loans, I’d use the Prime option in a heartbeat. almost there: I handle charge offs by offsetting them against the unreported income. Since they don’t typically report income on notes that have less than $10 in earnings (though I did see your note on the other post about the 1099-OID), and since I’m too honest for my own good and still report it, I just subtract off the defaults before reporting it. I know that this isn’t the official way to do it, but it has the same effect, and since it being done with “off the books” income it’s invisible to the IRS. Sure, they could question it if we were ever audited, but penalties are based on amounts owed and we’re paying everything that is due even if we are streamlining the process a bit. I had bad experience with LC autopilot. Shortly after I joined 3.5 years ago I invested 30 thousand dollars with them. I requested a conservative selection and I was invested with a-c loans. 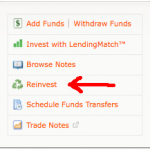 I reinvested the interest and stopped 3 years ago when investors walked away from their loans. My 11.38% weighted avg rate actually has resulted in a 4.95% return. So my 36 thousand dollars invested has shown a return of $5500 in interest which includes the $2852 charged off, so I have lost over half of my returns to bad loans. For the last 3 years every hundred bucks I get in the account I withdrawl to my checking account. Down to my last $159 outstanding in loans with $140 which is 31-120 days late and most likely will be charged off. Due to the difficult 1099-OID forms I have not written off the charge offs on a 1099-C as I take the standard deduction and didn’t want to put the service charges on a schedule A and per my conversations with the IRS I need the name and address of the investor in order to file the 1099-C to report a bad loan. I am done with Lending Club. I did get a better return but it was not worth the headache. My investments under my matteress makes me sleep better.